If you’re planning on having a Dry Wedding (dry = alcohol free) then serving up a batch of signature mocktails is a great way to solve the hydration needs of your guests. Just because you have decided to keep the booze to a minimum doesn’t mean that your drink selection needs to be boring. 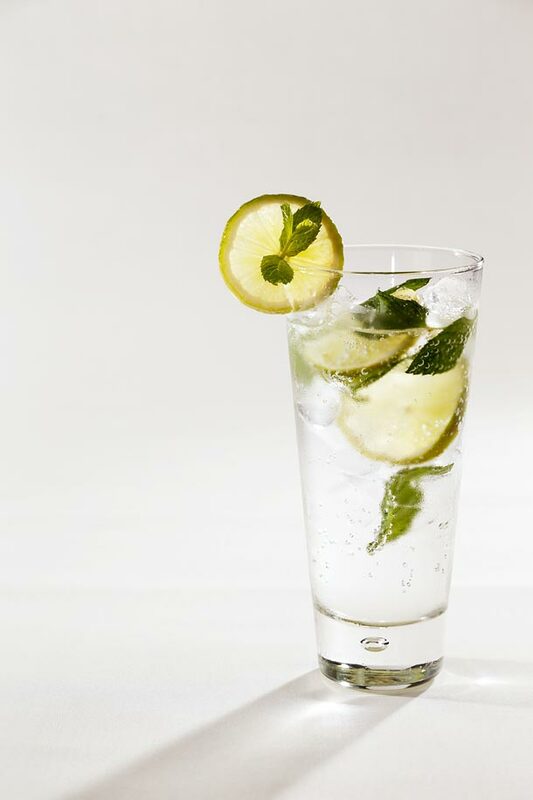 Use a base of lemonade and soda water (mix according to your own personal taste). Add lots of ice, slices of lime (or lemons – but limes are better) and a generous helping of fresh mint. Mix together 100% cranberry juice with Appletizer. Pour over crushed ice. Peach juice, soda water and lemonade (or Sprite) will make a great bellini alternative. Mix one part peach, two parts soda water and two parts lemonade. Freeze slices of watermelon in the freezer overnight. Blend frozen watermelon slices in the blender and blend until smooth. Add a blend of lemonade and soda water. Decorate with a sprig of mint or a slice of lime. Mix together pineapple juice, lemon juice and soda water to your taste. Serve in a tall glass over ice and decorate with lemon slices and lavender blossoms. 3 parts fruit juice (a combination of different ones works best) added to 1 part ginger ale and 1 part soda water makes a tasty and refreshing punch. Pour over a tall glass of ice and garnish with a piece of pineapple. For a little extra cuteness you could consider using a heart or star-shaped cookie cutter to cut shapes out of the pineapple. That would also work with slices of watermelon or spanspek. 3 cups of lime juice, 1 cup of lemon juice (both fresh) plus 2 cups of castor sugar added to 3 litres of water makes a great lemonade alternative. Add 1 cup of pureed strawberries for a little extra colour and garnish with lime slices.